Millcreek has attached these 4 pictures to aid in identification. The message is below. Pupal cases. 11 mm. Collected September 30, 2014. Chimarra pupa. 7 mm. Collected September 30, 2014. Chimarra pupae. 7 mm. Collected September 30, 2014. Posts: 318 The Chimarra emergences on the Russian River are tapering off now but there are still a lot of larvae and pupal cases to be found. Took these pictures of live pupae earlier today. Look like they were just about ready to emerge. Posts: 2587 Great stuff! Nice to get a peek at the sheath that surrounds them. We have heard a great deal about them. Brother, you are blowing some minds here...Wonderful pics. Posts: 318 Thanks, Spence. I enjoy seeing the little buggers and photographing them. Wish I'd had a video camera with a macro lens today. The pupae were really moving around a lot in a sinuous way and it would have been interesting to capture that on film. About as close as I get to a psychedelic experience these days. Posts: 2345 "Brother, you are blowing some minds here...Wonderful pics." Posts: 2871 And I third it. Thank you! Posts: 318 Jonathan and Lewis- Thanks and don't worry, I've got enough photos of different species that you'll be begging me to quit posting them after awhile:). Jonathan and Lewis- Thanks and don't worry, I've got enough photos of different species that you'll be begging me to quit posting them after awhile:). Posts: 287 I fourth that sentiment. So, that's the sheath that La Fontaine is trying to emulate? I'm not sure that's what La Fontaine was describing. These pupae hadn't emerged from the case on their own, I'd popped them out of the cases to get more detail. I suspect that the silken cocoons or sheaths probably remain in the stone case when they emerge (or not, I'm not positive). If Creno sees this thread perhaps he can shed some more light on this. The pupae do have a larval cuticle around them that doesn't show well in these photos but has a bit of a shine to it. 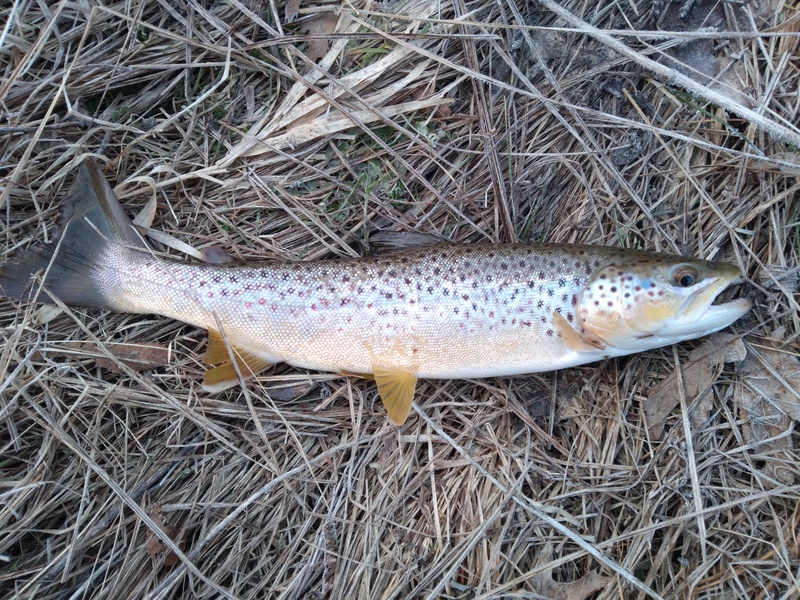 An example can be seen here in an excellent photo submitted by Creno http://www.troutnut.com/topic/6818/Pupal-exuvia-pics#32485. 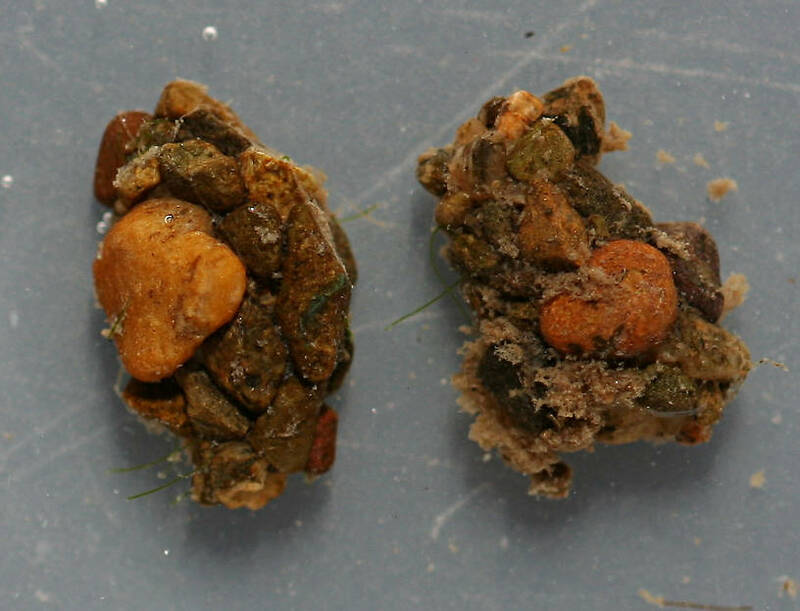 There are also some photos of a Hydropsychid pupae emerging by Paul Roberts here: http://www.troutnut.com/topic/2516/Caddis-Pupae-Question You'll have to scroll down the thread a ways to see the photos. Posts: 282 Folks - there is an excellent discussion of the various types of pupal cocoons in Wiggins 2004 (Caddisflies: the underwater architects. Toronto, University of Toronto Press). In summary of Wiggins 2004, the cocoon of Chimarra remains attached to the pupal enclosure and substrate. Lafontaine was probably talking about the pupal integument. You can think of the various layers starting from the stream substrate and proceeding inward to the developing adult as: 1:substrate, 2: rocks (in the philopotamids, a dome with the bottom open to the stream substrate), 3: cocoon (a silken sack within the dome, in the philopotamids is is attached via silk to the dome and the substrate), 4: pupal integument (outer layer of pupae - which you can see in Millcreek's referenced pics as it separates from the adult integument) 5: adult integument. All these layers develop from the larvae which builds the dome on the substrate, and spins the cocoon. The larvae then transforms to the pupae while shedding the larval integument and moving the hard larval parts to the back of the case. 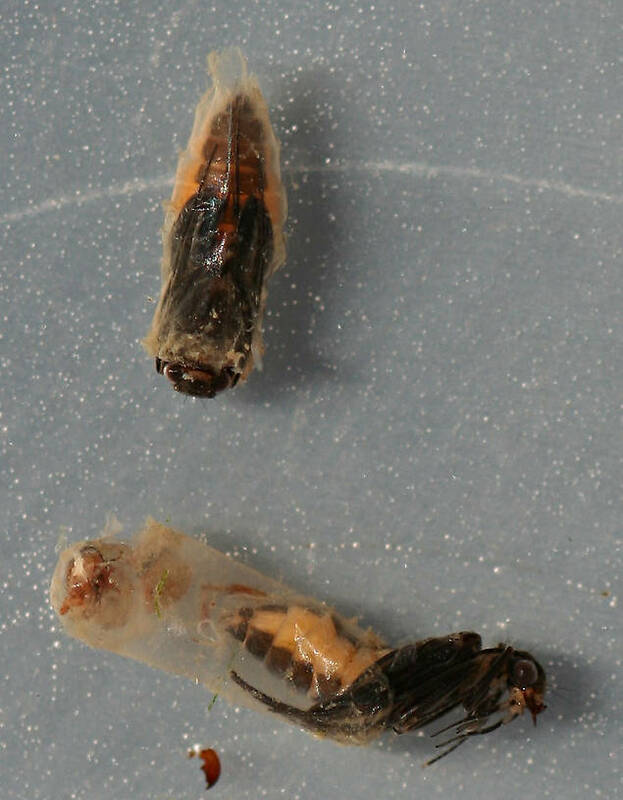 The pupae then transforms to the adult within the pupal integument and exits the dome where the final transformation occurs as the adult sheds the pupal integument. This larval/pupal develop process with with all the construction, spinning, and transforming is a major investment of energy without addition food intake and the reason why the adults can be much smaller than mature larvae. Posts: 318 Dave- Thanks for the explanation of the components of the pupal case. Amazing how much goes on in the lives and behaviors of these animals. Posts: 2604 Ditto Taxon's comments, Mark. 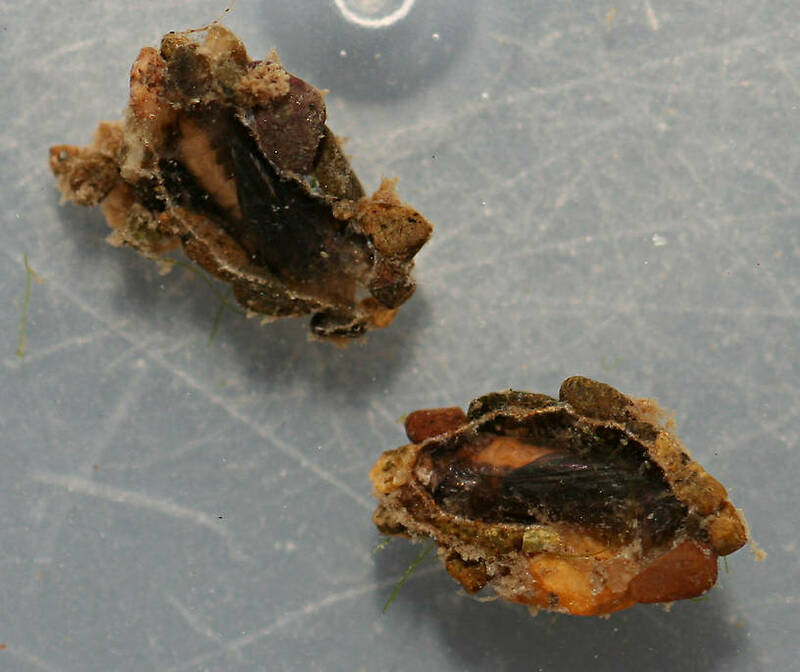 In laymen's terms (anglerspeak) what the photos show are pupae being removed from their shelter linings. Their pupal "skins" are still in place. 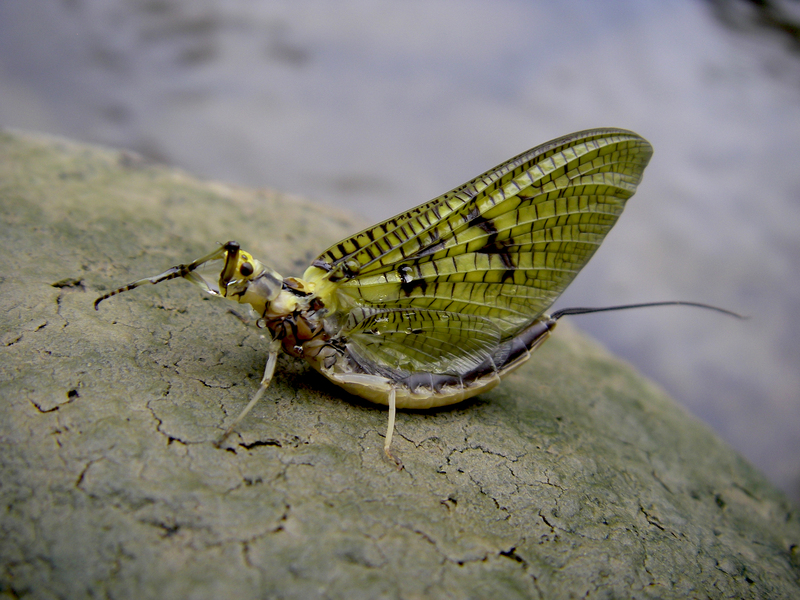 The stage that anglers are concerned with according to the groundbreaking work (angler perspective) of LaFontaine is when the pupae are preparing to shed their pupal skins to become pharate adults. There has been some debate as to the relative shininess of this stage and whether the space under the exuvia is occupied by gas or liquid. 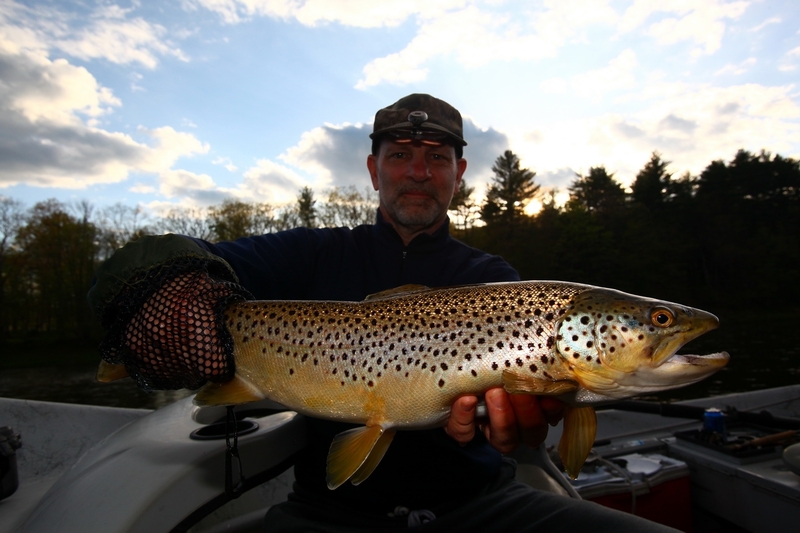 My personal belief is that it is fluid and that this stage is less "shiny" than currently assumed by most anglers because of adjectives attached to pupal patterns. 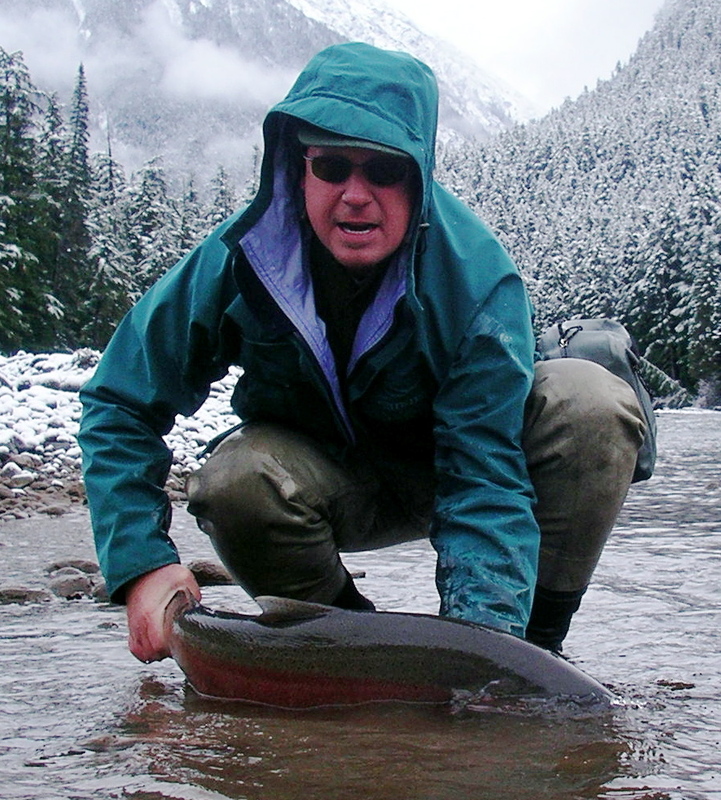 The words "shiny" or "sparkly" are best reserved for the adult stages of those species whose returning egg layers dive carrying air bubbles with them. 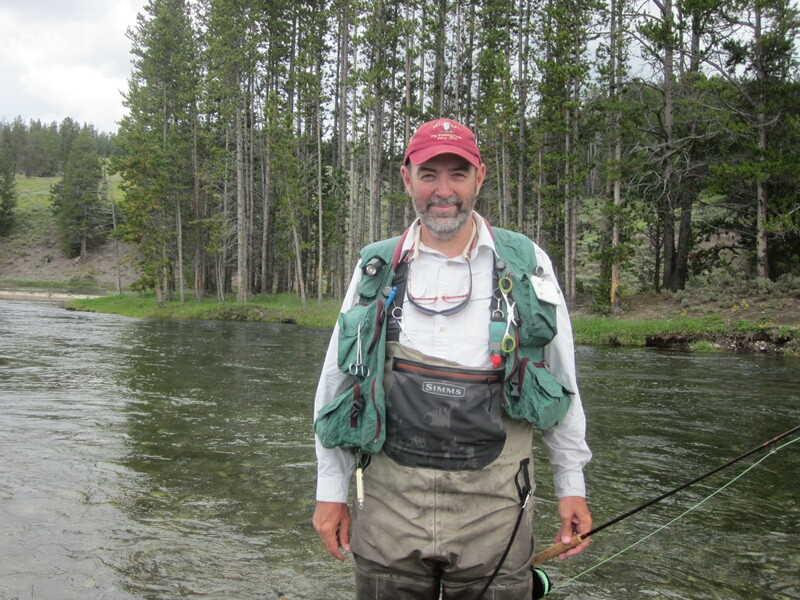 My personal belief is that it is fluid and that this stage is less "shiny" than currently assumed by most anglers because of adjectives attached to pupal patterns. The words "shiny" or "sparkly" are best reserved for the adult stages of those species whose returning egg layers dive carrying air bubbles with them. My observations support what you are saying Kurt. Personally I'm pretty much anti flash when it comes to most of my imitations, when you see those pupal exuviae hanging off the back a a pharate adults it looks more like a thin plastic bag than a "sparkly bubble"in my opinion. Posts: 318 Kurt and Eric - I think you're right. I've seen a fair number of pupae and never noticed any air trapped between the pharate adult and the pupal integument. Any shiny reflection associated with the pupae has been minimal and seems associated with light reflecting off the pupal integument. 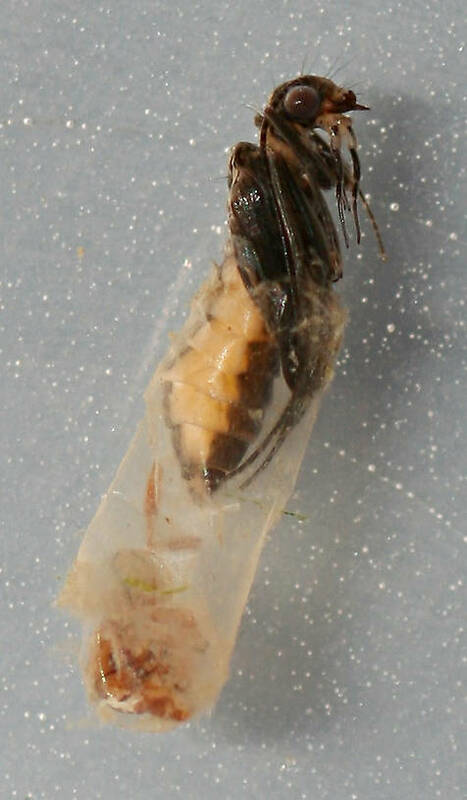 I think Eric's description of the pupal exuvia looking like a thin plastic bag is correct. I also think Kurt is correct in assuming that the space under the exuvia is filled with fluid.